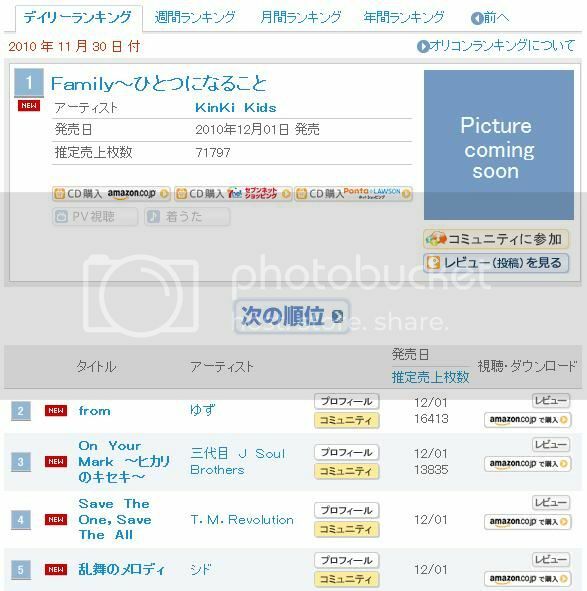 Today is the release of KinKi Kids' Family~Hitotsu ni Naru Koto~ single!!! And look at the amount of copies sold!! Even my favorite Sid's Ranpu no Melody got into top 5! !